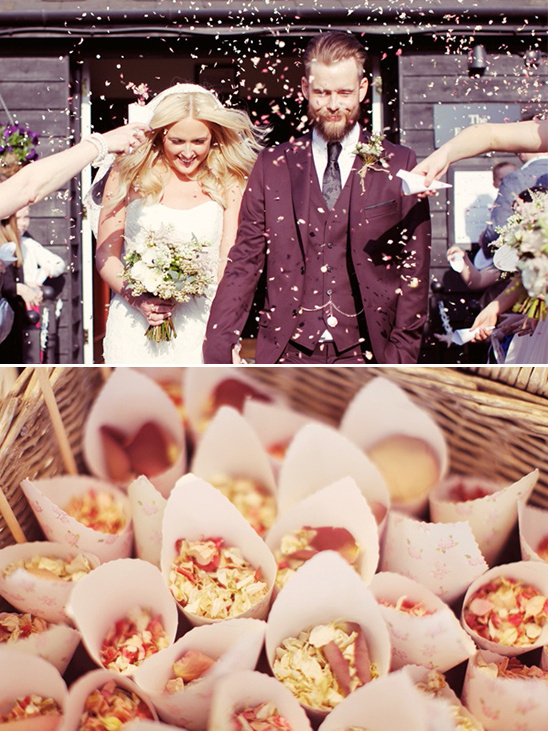 Get ready to fly across the pond and check out one spectacular wedding! 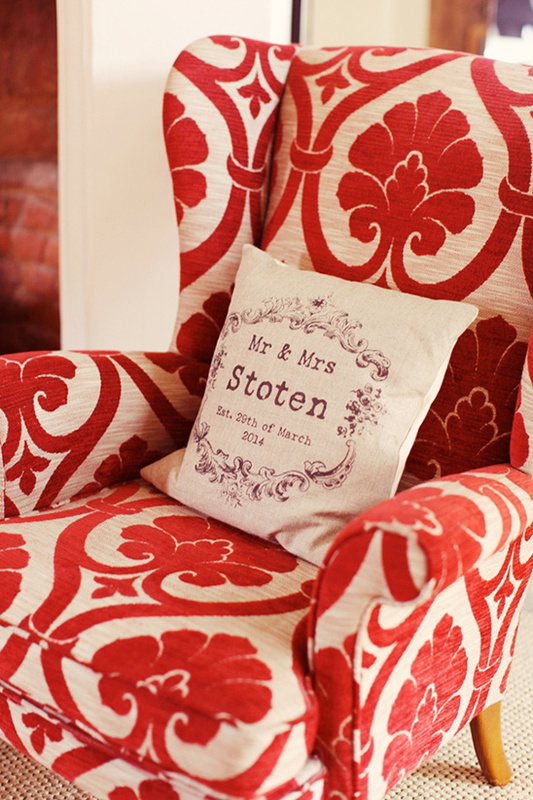 The entire day was curated to perfection - from their illustrated stationery pieces by Jolly Edition, to their rustic wedding venue at Essex Barn. 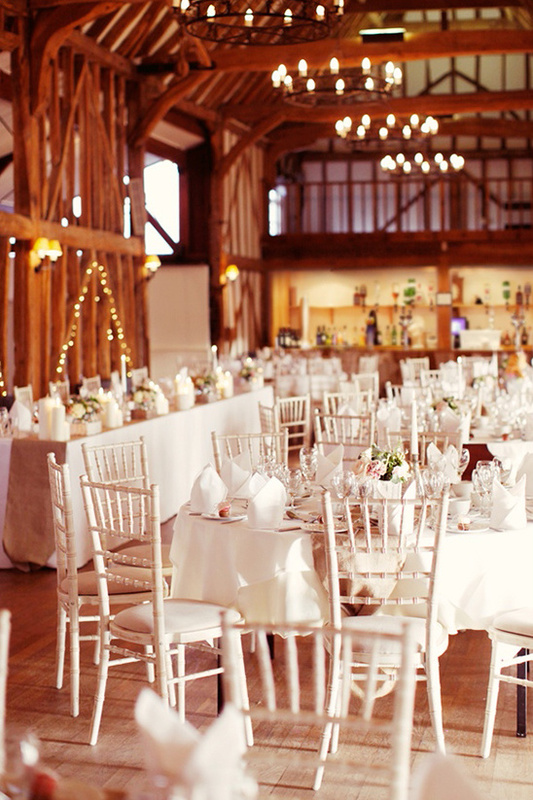 If you love a good rustic wedding, you must see all the details in the full gallery here! All captured by Rebecca Wedding Photography. 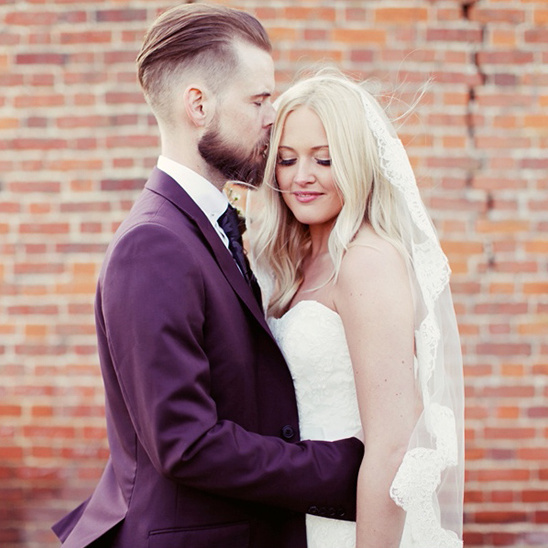 Be sure to keep scrolling and on read on to learn more about this heart filled rustic wedding. Be sure to check out the video filmed by Costa Sister Productions as well. 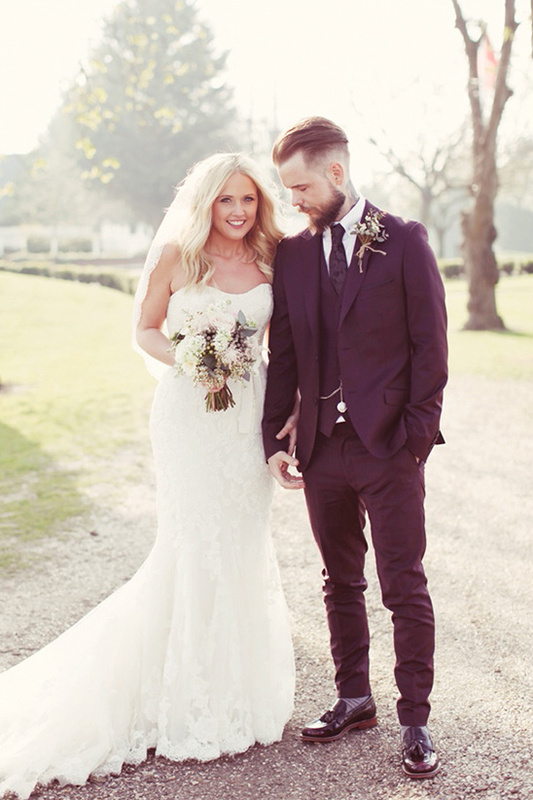 Have a peek at Chloe's wedding ensemble! 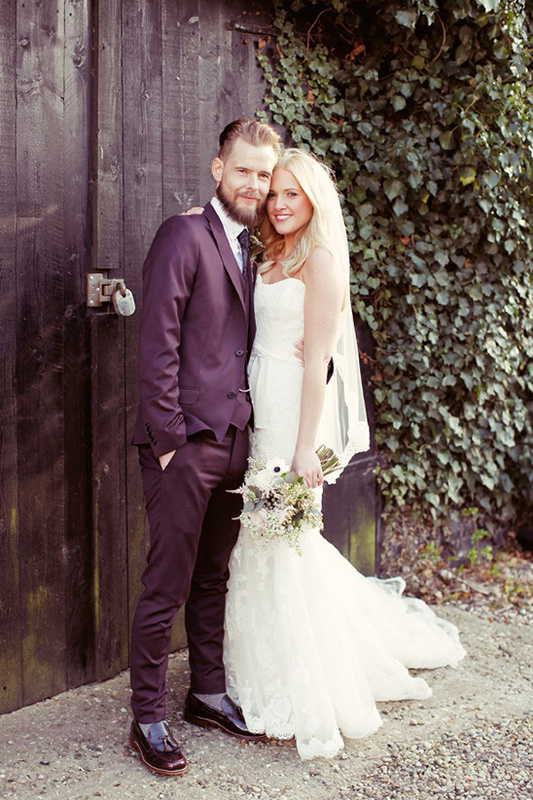 Her dress showed off her hour glass figure, her boho locks gave a relaxed vibe to suit the down to earth wedding. We vote veils! Scott rocked a 3 piece from Topman, polishing it off with a pocket watch not to forget his epic beard that made the outfit! 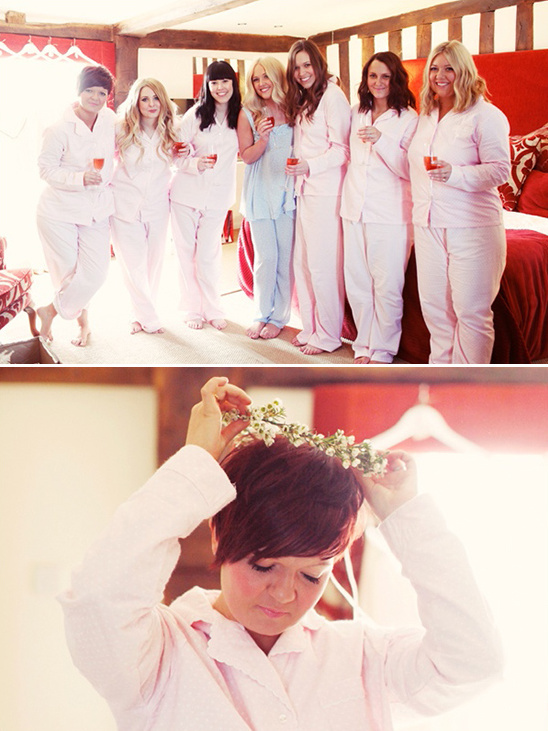 Chloe surprised her girls in matching Pajamas with "tie the knot" rings, which was literally a gold knot around their fingers! 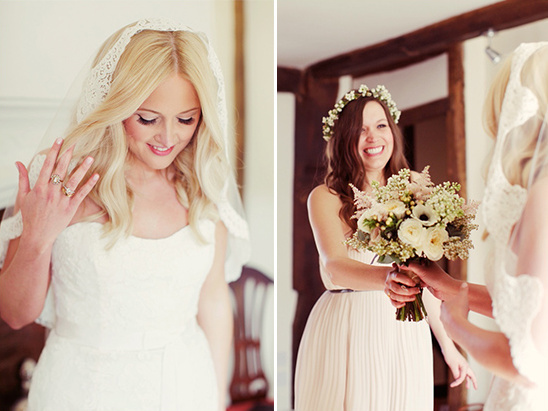 The bridesmaids pulled off the boho chic wonderfully, we fell in love with their flower crowns. I have Karen from the Flower Mill Essex to thank for my beautiful flowers. Karen is a floral genius!!! what she created was beyond my wildest flowery dreams When I first met with Karen she immediately knew exactly what I wanted, she worked within our budget and was an absolute pleasure to work with, and even though I changed my mind about 100 times, when I saw them on the day, they really were more beautiful than I could have even imagined. 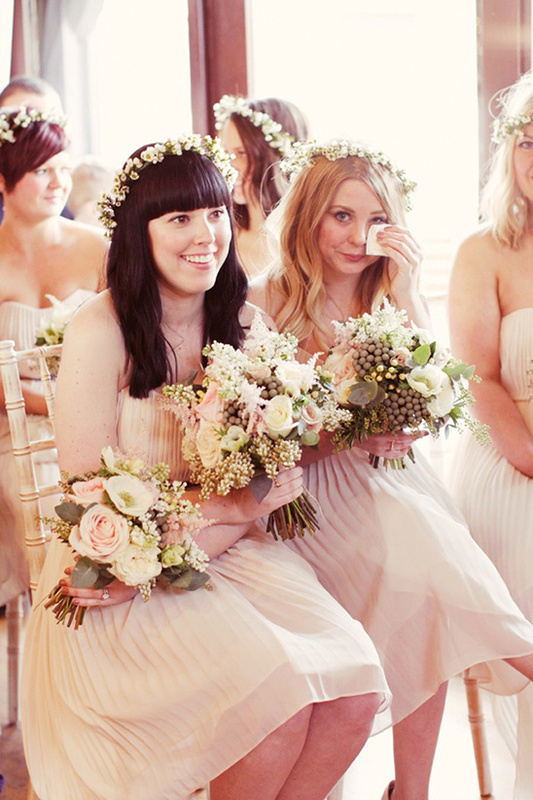 Karen also created the wax flower crowns for my bridesmaids and my crown for the evening – they were the most adorable things I have ever seen and they all looked SO cute! 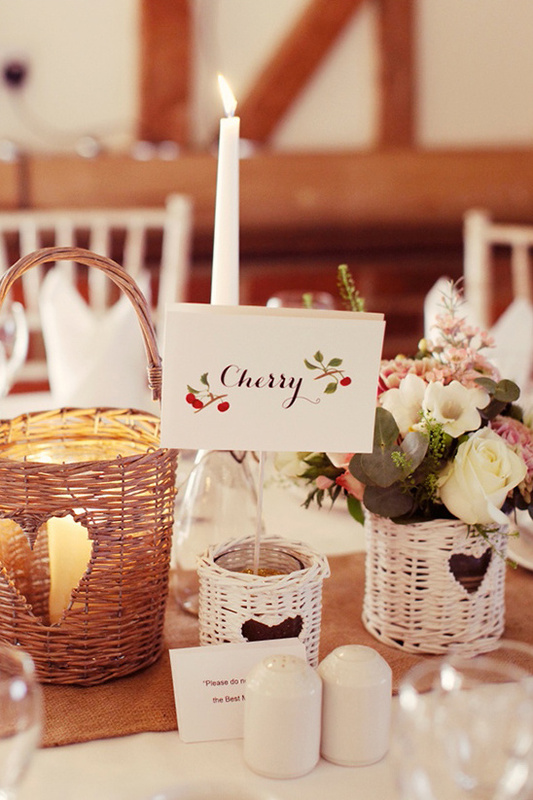 Our AMAZING stationery designers were Tom & Laura at Jolly Edition. 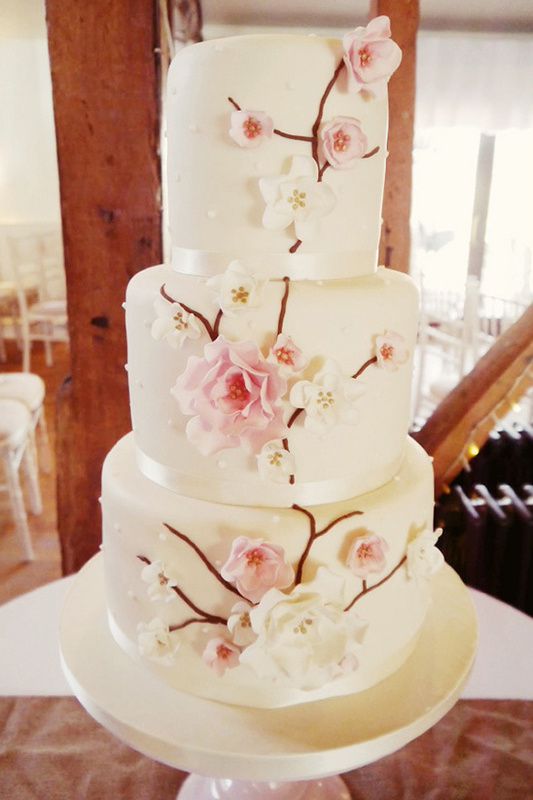 They created the most beautiful bespoke set for us – I couldn’t have been happier with it. 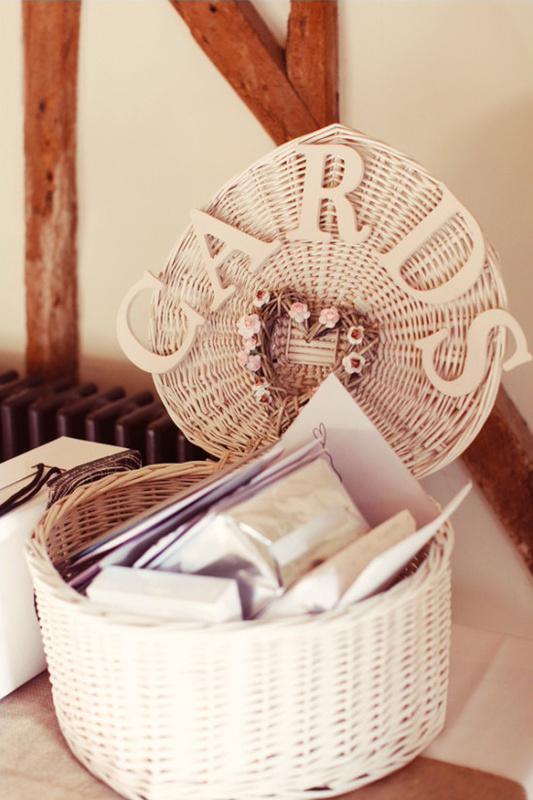 The stationery was so important to us as it is the first glimpse anyone gets of your wedding day and although it can be overlooked a lot of the time, we have ours framed around our home. We loved the program fans and as it was unexpectedly warm on our wedding day they came in handy. 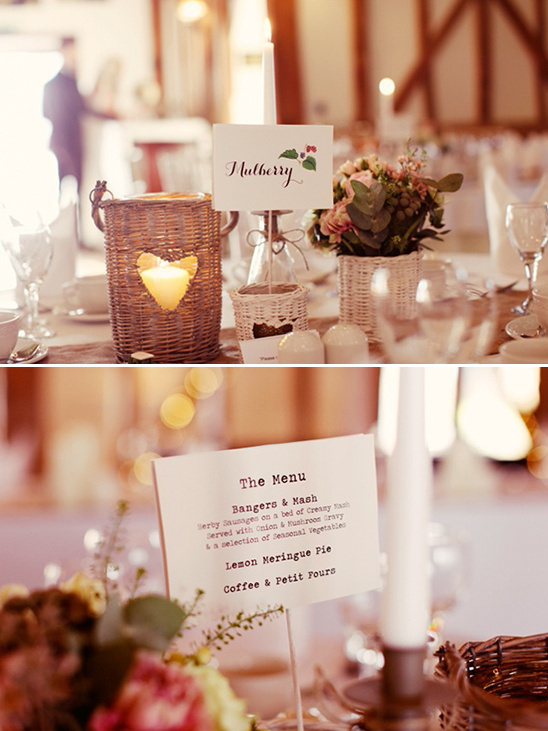 We decided to name the tables after trees to fit in with our spring rustic theme and what Tom & Laura designed was so so beautiful! 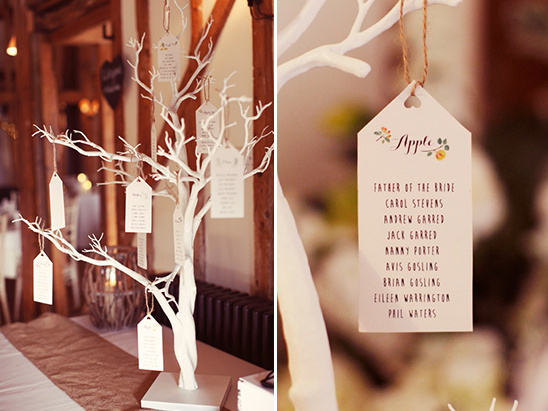 We then had the table plan as a tree and each table name hung from a different branch. 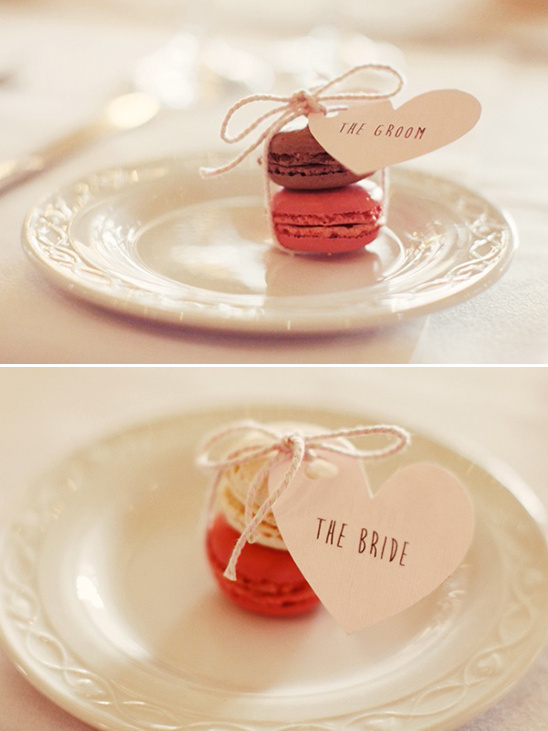 Our place favors were macaroons tied with the place name. The pain in my hands from cutting over 100 heart shapes and fans was all completely worth it! I loved how everything came together and whatever your groom may say - You can NEVER have to many hearts on your wedding day. Our (can’t even put into words just how Amazing) videographers and photographer were The Costa Sisters and Rebecca Wedding Photography. We feel truly SO lucky to have had them both provide our wedding memories that we will cherish forever and ever. The photos and video are both the most beautifully produced work I have ever seen and they are all ours to keep. This was by far the best investment of the wedding day. We have seen things that we weren’t able to see ourselves on the day and we will have these beautiful memories forever. This couple is as cute as can be together and seeing them in action reinforces that by so much more! See all the smiles in the film below, filmed beautifully by Costa Sister Productions. Read on to hear more from the bride about her beautiful day, her wedding attire, the decor choices, as well as some advice for all you future brides! 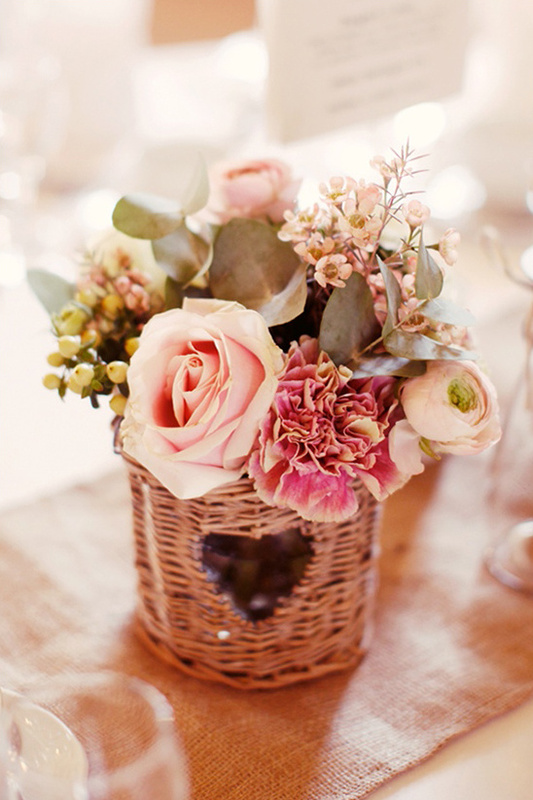 As soon as we began planning the wedding we new we wanted a relaxed spring wedding for everyone to enjoy. After months of buying every wedding magazine and reading every single wedding blog we decided a barn location was perfect for us to have everything in one location and once we booked The Essex Barn at Channels everything fell into place, and Scott was more than happy to let me get my creative juices flowing for our vintage rustic themed wedding. Like most newly engaged future brides, I couldn’t wait to start dress shopping and due to a mixture of impatience and knowing exactly what I wanted, my wedding dress and veil were the very first things I bought. I knew I wanted something romantic, flowing lace and also something that I hoped Scott would think I looked beautiful in. I found my dress in a local bridal shop, the only bridal shop I visited and the second dress I tried on. As soon as I put it on I knew it was the one. It is true, that when you know, you know. I instantly felt like a bride. The dress fit me like a glove, with the prettiest lace and a beautiful train. When I walked out of the dressing room, my mum cried and the decision was made. The only trouble was then trying to avoid looking at other dresses for two years. I knew I wanted a veil to add a traditional element. 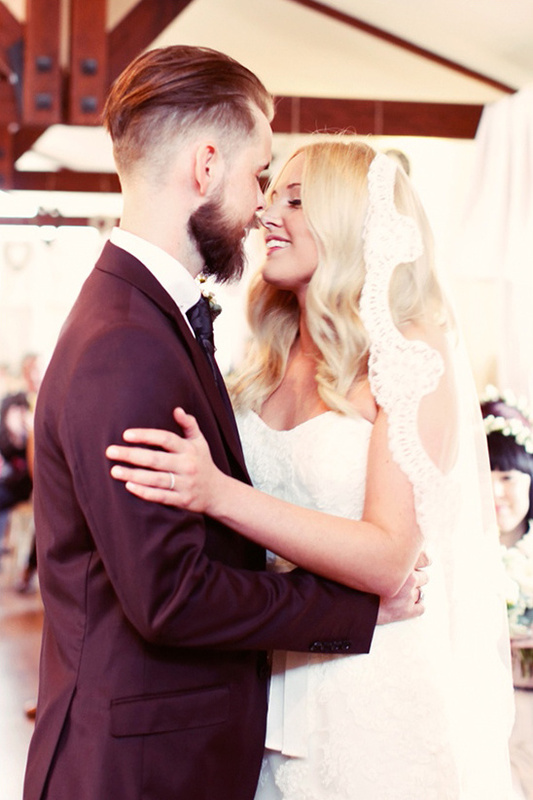 I chose a lace edged finger tip mantilla style veil. By pure luck the lace matched the dress perfectly. 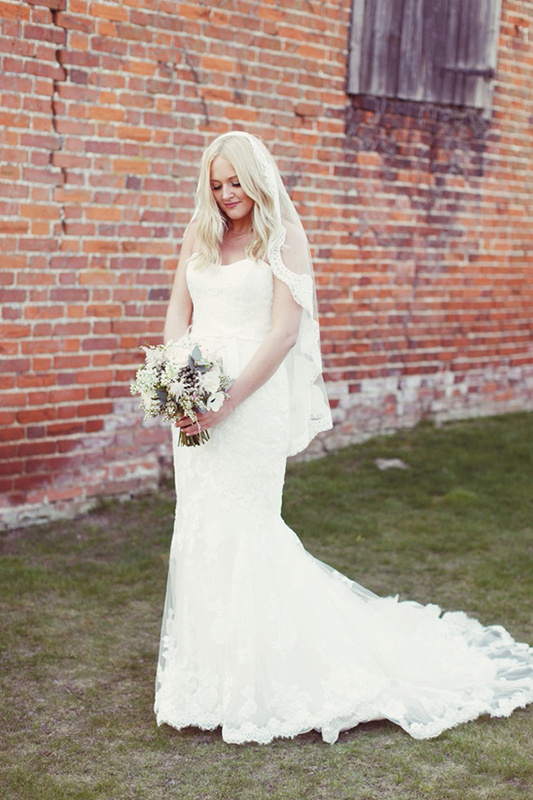 To any brides deliberating whether to have a veil – do it. There is just something about a veil that makes you want to wear it every day. I had 6 bridesmaids in total, my beautiful sister, and 5 best friends. I couldn’t have imagined not having them with me through every part of my wedding day. 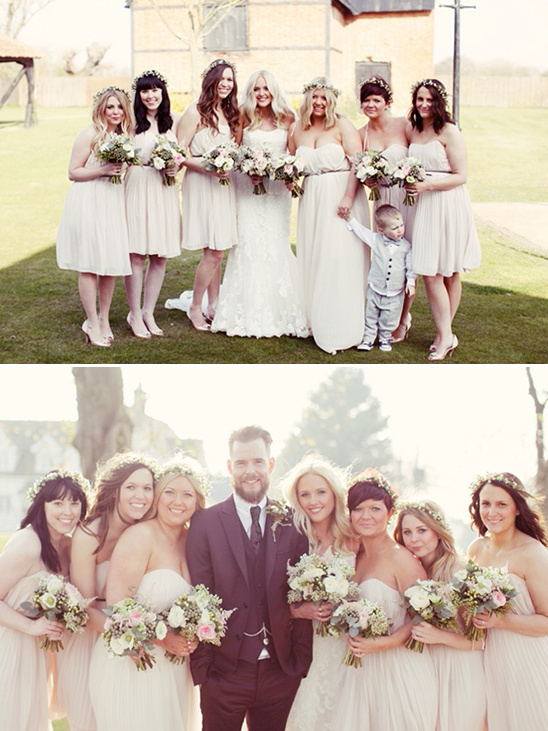 The bridesmaid dresses were all French Connection. I changed the belts on them for a gunmetal leaf belt from Primark. I didn’t want anything too bridesmaidy and wanted them to be comfortable and able to prance around all day looking like little flower fairies. We had our 3 nephews as page boys and as they range between 2 & 3 years old comfort was key! 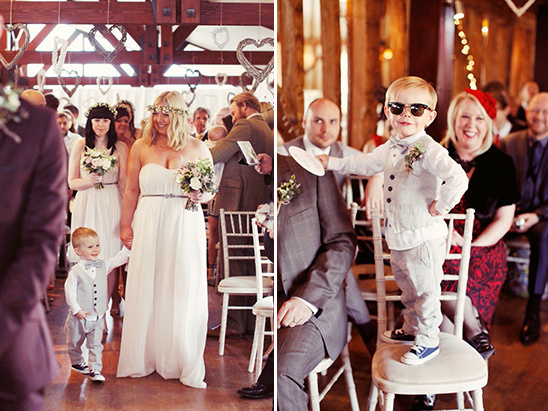 We put them in a cute light grey herringbone waistcoat and trousers from Zara, their bow ties were from ebay and they had converse hi tops so they could run around all day. We gave them little clubmaster sunglasses as a gift, which Lenny in particular loved (hence the posing). Scott had his brother as best man and two best friends as groomsmen. Their suits were all from ASOS and their bowties and shoes were Topman. Again, we didn’t want anything too formal for them and they all looked so lovely! Scott chose to wear a burgundy skinny fit suit from Topman. Scott’s dad married in burgundy and he knew straight away he wanted to wear the same colour. Although I knew what he was wearing, he wouldn’t let me see him in it until the day, which I’m so glad he did. My handsome husband looked more handsome than ever. My make up was by Kelly Hollands. Kelly was wonderful – I wanted to look like me, but a better, flawless version. Kelly recommended the airbase make up - it was absolutely perfect and lasted the whole day. My hair was styled by Luke Pluckrose, I wanted to keep my hair quite natural, not overstyled and the key thing – volume. Luke is a miracle worker and managed to give my poker straight hair a wave that lasted the entire day. Our first dance was Eyes on the Prize by M Ward. There was never any doubt about what song it would be. The lyrics are absolutely beautiful and we got goosebumps everytime we heard it - Now it is just even more special. I wanted to try and make as many things as possible and decorate the barn to add a personal touch to the day. Scott and the groomsmen decorated the ceremony area with hanging willow hearts from the beams. 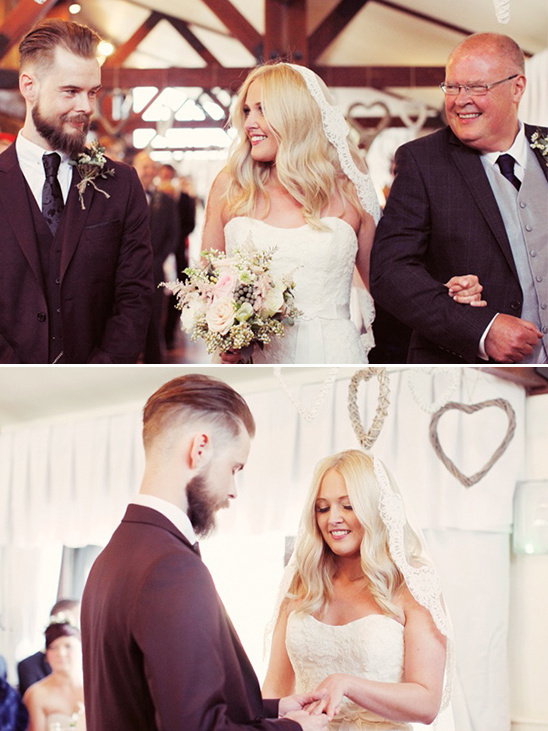 I wanted to create a little room of love and I loved walking down the aisle with them – they looked so pretty. I collected glass apothecary jars to create our little candy buffet. I made the stand from various sized crates and had a lot of fun playing around with gold glitter for the love is sweet sign. 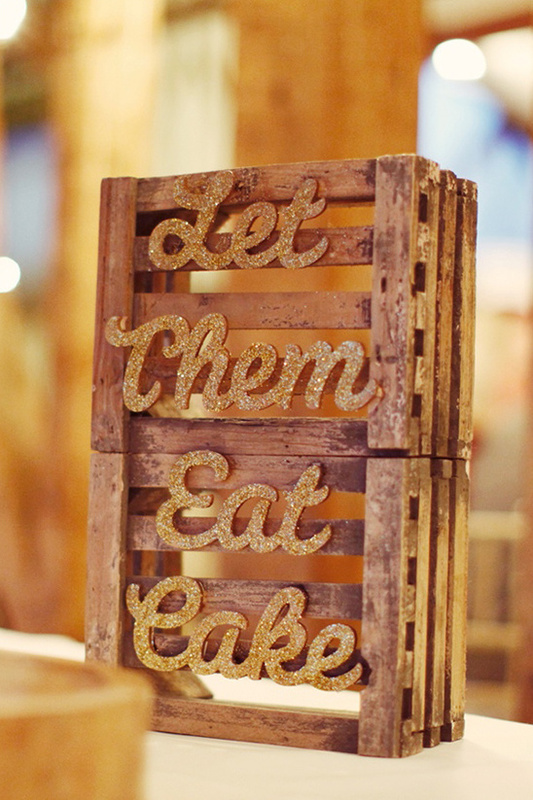 I also made a similar ‘let them eat cake’ sign for the table. The candy labels were a free printable I found online. 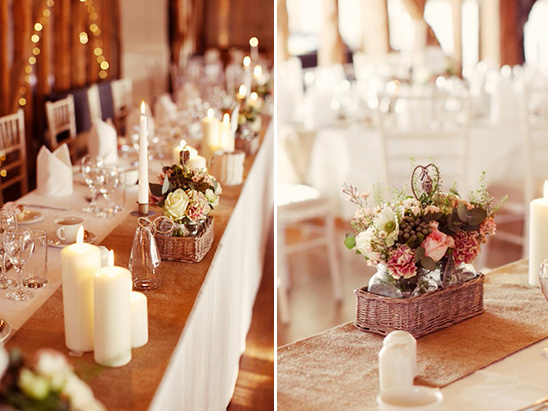 Our table centerpieces were a range of flower and candle filled willow lanterns. Once they were all filled with Karen’s beautiful blooms, and the candles were lit the room looked magical. My brother in laws mum was absolutely amazing and made all our burlap table runners from scratch – I still have no idea how she hemmed them so perfectly! The cards box was made from a heart shaped picnic basket I stripped and painted and added the wooden ‘CARDS’ sign and a little flower filled willow heart. Getting those letters to stick was a lot harder than it looks! Let people help you - your friends and family will want to help out, so let them. I am a bit of a control freak so when it came to planning the wedding I was verging of full-on bridezilla. I wanted to do it all myself, and in all honesty I didn't let people help enough. There will be so much to do and leading up to your wedding you should be the most unstressed, relaxed you there has ever been. It is the biggest day of your life and I promise you won't be thinking about whether the bunting is in the right place, you will be too busy bursting with happiness. Make time with your new husband/wife on the day. A lot of people told me that it all goes so fast and you don't spend anytime together that we made sure we actually saw each other after the ceremony, and in all honestly I didn't want to leave his side. We spent more than we originally intended, but it was worth it. Although it is for one day, it is one day you will never have again full of memories you will want to look back on forever. Some things we spent money on like the centerpieces, decorations (I accumulated about 400 willow hearts in the planning process!) and apothecary jars I am hoping to sell but the main things we spent money on were the photographer, videographers and stationery - the things we wanted to and will keep forever.